Be the first to share your favorite memory, photo or story of Sara. This memorial page is dedicated for family, friends and future generations to celebrate the life of their loved one. 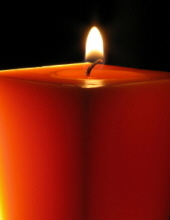 Sara L. Kitzman, 76, of Manalapan Township died on Tuesday, January 29, 2019 at The Manor, Freehold Township. Mrs. Kitzman was a member of Molly Pitcher Chapter No. 198, Order of the Eastern Star, Freehold. Surviving are a son, Joseph Ross Youanovitch; a granddaughter, Heather Rivera; and a friend, Robert C. Ross, II. The viewing will be held at the Higgins Memorial Home, 20 Center Street, Freehold on Friday from 4:00 to 8:00 p.m. Order of the Eastern Star services will be held on Friday at 7:00 p.m.
Funeral services will be held at the funeral home on Saturday at 10:00 a.m. with Rev. Douglas Hughes officiating. The interment will follow at Old Tennent Cemetery, Tennent. To send flowers or a remembrance gift to the family of Sara L Kitzman, please visit our Tribute Store. "Email Address" would like to share the life celebration of Sara L Kitzman. Click on the "link" to go to share a favorite memory or leave a condolence message for the family.